Shetland Youth Volunteering Awards – Winner! 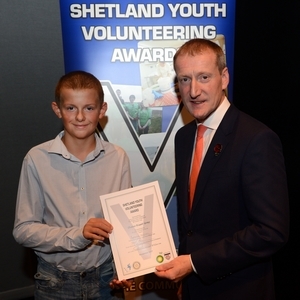 A huge congratulations to Shane from Baltasound JHS who won at the Shetland Youth Volunteering Awards. Shane is a dedicated member of our Grounds Maintenance Crew, who give up their time after school to help make our school grounds a better place. This involves weeding paths, painting fences, shredding paper and more. Shane and the rest of team are invaluable in our school and help us to to improve our school for everyone who uses it. Thanks to Shane for his hard work and we’re very proud that it’s been recognised officially!